Looking for Cosmetic Tattoos? We Do Cosmetic Tattoos! The world of beauty and cosmetics is constantly changing. Think about it, what was considered to be cosmetic beauty ten years ago is nothing like what it is today. We sure don’t remember people drawing on their eyebrows or coloring them in a few years ago, but they definitely are today. Recently the cosmetic beauty world has shifted to the concept of cosmetic tattoos. Check out Instagram, and you’ll find a range of different stunning stars who have permanently altered their face with cosmetic tattoos. Freckles, for instance, are a common choice. 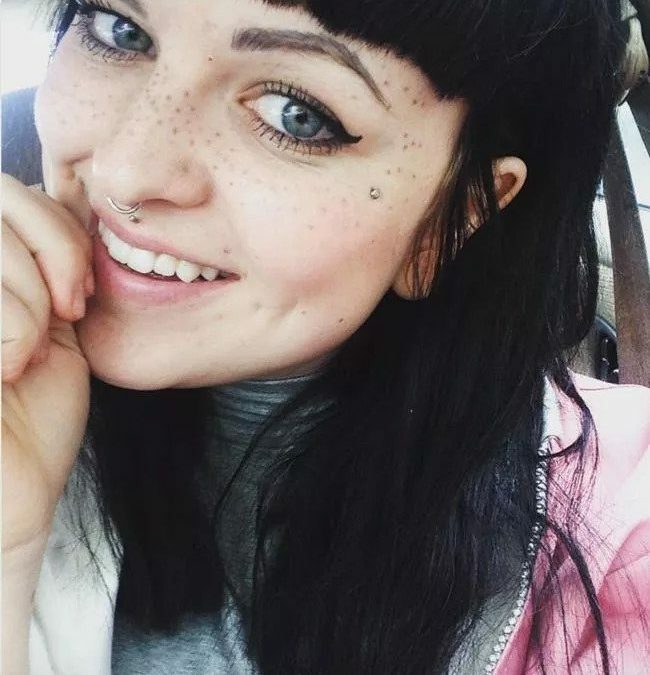 Cosmetic tattoo freckles are even better than natural ones because they can be perfectly placed and styled exactly how you want. That means they can be as dark or as light as you like and exactly where you want them. Of course, cosmetic tattoos can be so much more than freckles. There are a few things you need to know about this fascinating, incredible new beauty option before you find a cosmetic tattoo artist to complete some work for you. What Can You Do With Cosmetic Tattoos? Virtually anything you want. While cosmetic tattoo freckles are the trend right now because they help people look younger, they are really just the beginning. You can think about getting any type of change that you want. For instance, you could get a cosmetic tattoo that constantly allows you to have ruby red lips. Or, if you are tired of messing up your eyeliner ten or a hundred times, you could get it tattooed on. If you love doing eyeliner flicks but hate how they never appear even, that’s another great option. This is definitely one of the biggest benefits of cosmetic tattoos. With cosmetic tattoos, you can completely change your look and make your appearance totally unique. It can highlight who you are beautiful, not to mention save you time with mastering your style. If you have a look that you love, why not make it permanent with a cosmetic tattoo? Cosmetic tattoos can make you look younger, they can give you a unique look, and they can also cover up blemishes on your face. Do you have a birth spot on your face that you hate or a scar that has bothered you for years? You might have tried to cover it up with makeup without any luck. A cosmetic tattoo for scars can and will give you back your beauty. Search for a cosmetic tattoo artist near me, and you’ll be able to find one to cover up any scar you might have. But the cosmetic benefits are endless. From permanent lip color to lip blushing or micro-blading for the perfect brows, the possibilities are absolutely endless. They’re not even exclusively for women. Cosmetic tattoos for men are available from guyliner to a range of other cosmetic possibilities. If you’re thinking: well, where can I find a cosmetic tattoo artist near me, you’re in luck! We’re open in Glendale, Arizona and ready for tattoo consultations. If you know exactly what you want to achieve or aren’t entirely sure, get in touch. We can book you in and show you the amazing, incredible, astounding benefits of cosmetic tattoos.